Yacht Racing & Cruising at its Best! 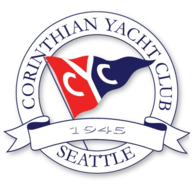 Corinthian Yacht Club of Seattle was founded on January 26, 1945. The aim, both now and then, is to provide the very best in yacht racing and cruising for anyone who aspires to experience the best sailing has to offer. Corinthian Yacht Club of Seattle is, and always will be, a true sailor’s club. In it’s first few years, Corinthian Yacht Club’s members met in an unused ice house near the ferry terminal in Leschi,organizing racing on Lake Washington. These were humble beginnings for what would become one of the most decorated racing clubs in North America. Racing through 1940s and 1950s was primarily in the six- and eight-meter classes, Star, Geary 18, Blanchard Knockabout, Lightning, Mercury, International 110, and International 14 classes. By 1948 the club had erected a race tower and floated docks at Leschi on land leased from the Seattle Parks Department to further support it’s racing efforts on Lake Washington. When the marina at Shilshole Bay was completed, club members designed, financed, and constructed a floating clubhouse that remains moored at the Shilshole marina to support racing on Puget Sound. Countless major sailing championships have been held at Corinthian Yacht Club of Seattle, including the 1971 Star World Championships, the 1990 Goodwill Games yachting competition and the 2010 J/24 North American Championships. Corinthian Yacht Club of Seattle has a strong tradition in competitive sailing and has one of the nation’s top rosters of current and past champions. Each year CYC welcomes many new members, from novice sailors to Olympic caliber one-design sailors. Join us this season for what we hope will be an unforgettable year!